You are here: Home › news and review updates › Back to school? Don’t miss anything important! 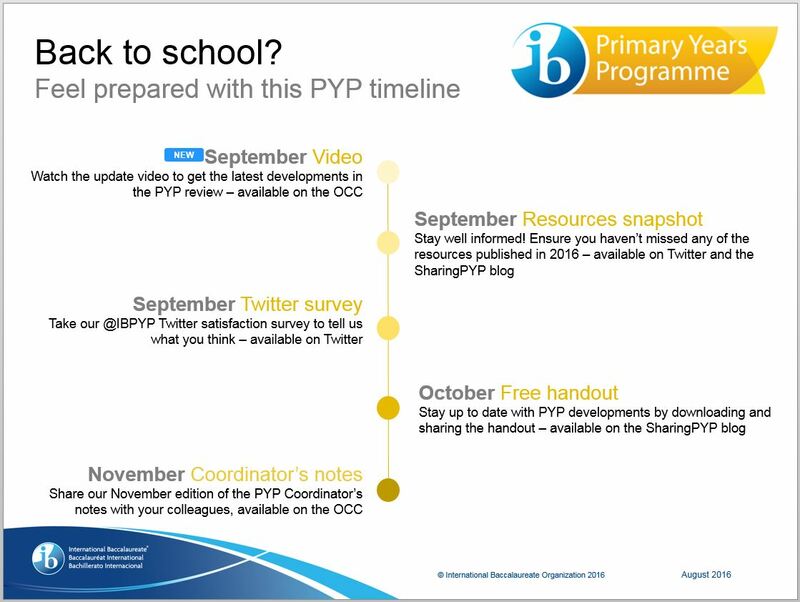 Whichever hemisphere you are in, use our timeline to see what PYP resources are coming soon to support your preparations for a new term or for the final months before your summer break. Regardless of whether your school year is starting or the end is in sight, we are here to support you. Questions? Share them on IB Answers. Don’t miss anything important! Follow us on Twitter – it is the fastest way to discover what we are up to. We want to follow all of our PYP schools on Twitter. Send a Twitter message to @IBPYP if you want us to follow you. Popular PYP hashtags to look out for: #PYPexhibition, #IBPYP, #PYPschools, #PYPteachers, #MTPYPH (Making the PYP happen), #unitsofinquiry, #PYPresearch, #IBlearnerprofile, #transdisciplinary, #earlyyears, #play. Want to learn about the PYP assessment enhancements? 5 Responses to Back to school? Don’t miss anything important! 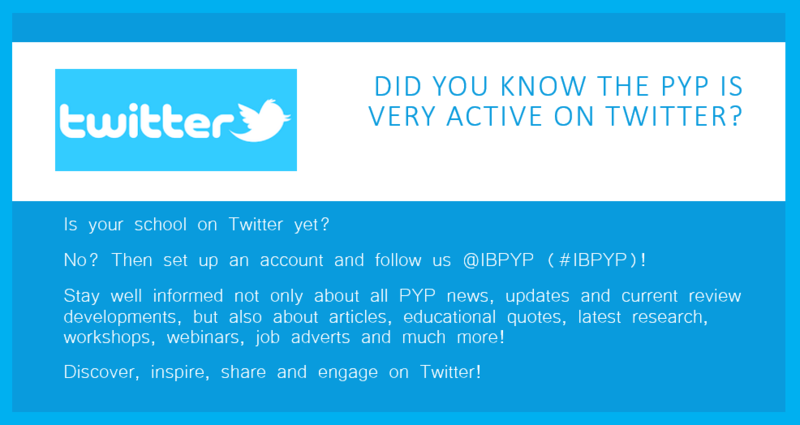 Are you following our lovely PYP school on Twitter?! We are Millarville Community School and our handle is @MCSWildcats . Now we are! Thanks for your message. Could you please follow our amazing PYP school Prairie Waters Elementary School? It’s in Chestermere, Alberta, Canada. We have been following your school! Leave a Reply to Rachael Lehmann Click here to cancel reply.